I knew the day after, but was otherwise unaware of its fate. 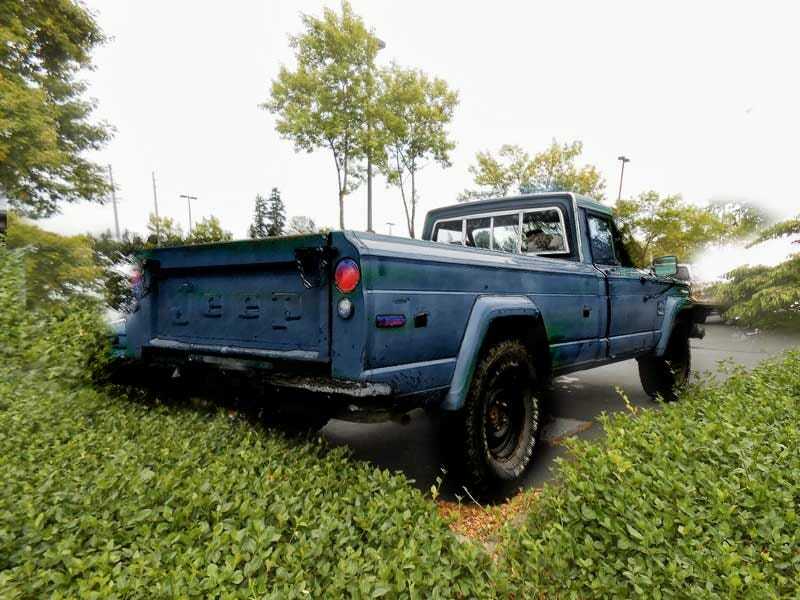 Fare thee well, giant Jeep pickup. I hope you found a good new home, or perhaps visiting a mechanic for rejuvenation after many years. . Or they just put air in the tires, fresh gas and drove away. A good sign, perhaps, for the neighbors have put a newer Jeep in its stead. Alas, cannot hope to fit in its shadow.